This notice details the Terms and Conditions of business between the client (referred to as “you” or “your”) and Helen Holgate, trading as Oreo PA (referred to as “me” or “I”). I value the business relationship I have with all my clients and will endeavour to protect their reputation. All work is carried out by me and is completely confidential. 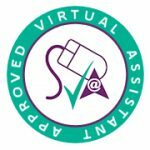 The rate or package agreed will be dependent on your requirements, with regular reviews to ascertain if the level of support provided is still effective. An initial 1 hour face to face consultation will be provided free of charge, for all clients that are located within a 15 mile radius of S40 3FH. For clients that are outside of this area then the consultation can be carried out either by telephone, Skype or FaceTime. All subsequent meetings, phone calls or emails will be charged at the agreed hourly rate. All existing clients who need support with a new task or project will be provided with up to 30 minutes free consultation time by either telephone, Skype or FaceTime, in order to discuss scope of work and timescales. The hourly rate is for agreed professional services to include time spent on the project or task and any communications with you in person, by phone or email. A contract detailing the agreed scope of work, dates and rate or package will be issued to you following consultation. My normal working hours are 9.00 am to 5.00 pm Monday to Friday (excluding Bank Holidays), however out of hours support can be arranged with prior agreement. In order to arrange and book travel, accommodation or to make any purchases on your behalf, details of a suitable payment method will be required. Client documentation will not be kept any longer than necessary. Work may be rejected, if it is deemed to be unlawful or immoral. 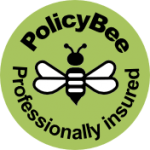 I hold Professional Indemnity and Public & Products Liability Insurance. I am only able to support UK based clients. Rates and packages will be reviewed on 1st January of each year and you will be notified of any new charges in writing. I have full antivirus software installed; therefore I reserve the right to delete any unsolicited emails or attachments which are cause for concern. It is your responsibility for ensuring that your own antivirus protection is also up to date. I do not accept liability or responsibility for the end use of any documents or materials produced or edited by me. These terms and conditions apply to the exclusion of any other terms that you seek to impose or incorporate or which are implied by trade, custom, practice or course of dealing. I reserve the right to vary these terms and conditions at any time and upon notice to you. A minimum commitment of 1 hour is required after which charges will apply in 15 minute increments. Services will commence following the receipt of the signed contract, which will indicate your acceptance of my terms and conditions, together with payment of the deposit, where applicable. All work should be briefed either by a face to face consultation, telephone, Skype or FaceTime. The days and hours of work will be dependent on the project or task to be completed, which will be discussed during the consultation. I shall use all reasonable endeavours to meet any performance dates specified by you. Any such dates shall be estimates only and time shall not be of the essence for performance of the services provided. I reserve the right to make any chances to the services provided which are necessary to comply with any law or safety requirement, or which do not materially affect the nature or quality of the services provided. You will be notified in any such event. All work will be proofread and I will endeavour to ensure the accuracy of the completed work supplied. It is, however, your responsibility to verify its accuracy and I shall not be liable for any inaccuracies or any losses directly or indirectly arising from such inaccuracies. Any inaccuracies or changes identified within your final proofread, should be reported to me within 4 working days of receipt and will be corrected free of charge. After 4 working days it shall be deemed that the work has been accepted. Any inaccuracies or changes reported after 4 working days will be corrected; however the additional time will be chargeable. Any error made by me will be corrected free of charge. All original documentation will be returned after completion of work, unless otherwise agreed. All work will be kept on file for a period of 12 months, after which will be deleted, unless otherwise agreed. You should print or otherwise save a copy of these Terms and Conditions for your records. If I do not receive a signed copy of this notice but you continue to instruct me, you shall be deemed to have agreed to these terms and conditions and shall be duly incorporated into the contract between us. All templates, supporting documents or other information should be sent by a secure method either by email to info@oreopa.co.uk, via Google Drive, Dropbox or on an USB by recorded delivery or courier to: 7 Treeneuk Gardens, Ashgate, Chesterfield S40 3FH. Passwords should be sent via a secure method, i.e. Passpack. File formats accepted include; Microsoft Office Access, Excel, OneNote, PowerPoint, Visio and Word. If large files need to be transferred, please ensure I am aware of this information prior to contract signing, so that an appropriate method of receiving the required files can be agreed. All work submitted by you should be legible. Hourly charged services will be invoiced upon completion of work or at the end of each month, whichever comes first, and will be submitted with a detailed timesheet. All packages will be valid for 4 weeks from the date services commence. All packages must be paid for in two instalments; a deposit of 50% must be paid before services commence and the remainder, including any agreed additional expenses, will be invoiced 4 weeks after receipt of the deposit or after completion of the project or task, whichever comes first. Any unused package hours will not be carried over, they will be considered unused and are non-refundable or transferrable. My rates are calculated on the basis of a seven hour day from 9.00 am to 5.00 pm Monday to Friday (excluding Bank Holidays). Any expense reasonably incurred in connection with the services provided for the performance of the services and for the cost of any materials including, but not limited to, stationery, postage, packaging, telephone calls, travel including rail and parking, printing and any other administrative costs, will be invoiced at cost. Mileage will be charged at 45p per mile from S40 3FH. You will be informed of any additional expense before the expense is incurred and all expenses will be itemised. If you have the need to cancel or terminate my services, you must advise me in writing and agree to pay for work completed, together with any additional expense incurred, thus far. Payment terms are strictly 15 days. For any unpaid invoices, I reserve the right to suspend services until such time that due invoices are paid in full. Overdue invoices may result in interest charges at a rate of 8% plus the Bank of England base rate, according to The Late Payment of Commercial Debts (Interest) Act 1998. Additional costs incurred in order to recover outstanding payments will be included in the amount owed and will be subjected to interest charges accordingly. Oreo PA is not VAT registered. Payments should be made by bank transfer. Payments can also be made by PayPal, however will be subject to additional charges. All information and data will be treated in the strictest of confidence. All information held by me, is back up securely in accordance with the Data Protection Act 2018. I hold a basic DBS certificate. I am the registered Data Protection Officer (reference number ZA484590). I shall not be liable for any delay or failure to perform any of my obligations if the delay or failure results from events or circumstances outside my reasonable control, including but not limited to acts of God, strikes, lock outs, accidents, war, fire, flood or failure of any communications, telecommunications or computer system, and I shall be entitled to a reasonable extension of my obligations.